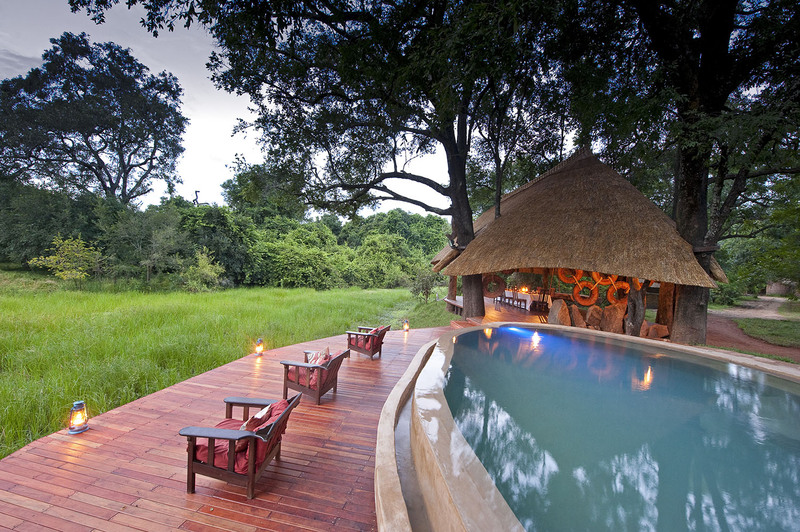 Nkwali is everything you would expect for the perfect safari experience in Zambia. Many places claim to be “among the remaining wilderness areas” or “one of the last wildlife sanctuaries”; South Luangwa National Park lives up to both and more. The Luangwa Valley is vast, remote and home to both people and a truly impressive variety of game. 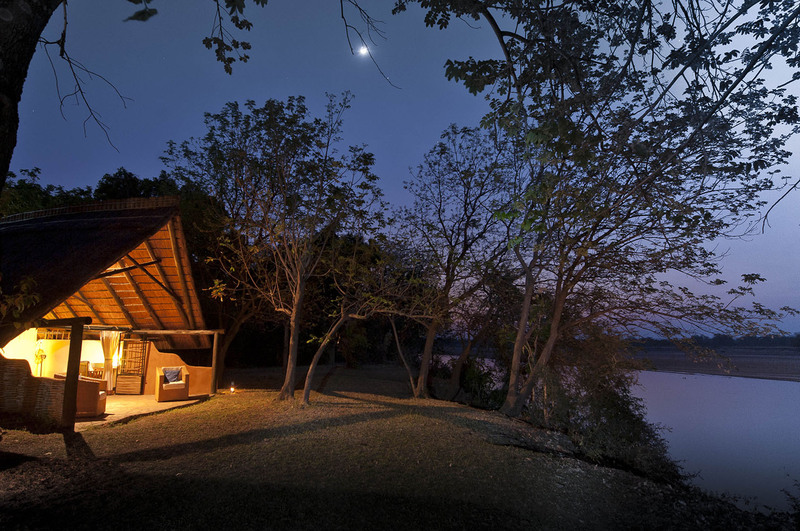 Nkwali safari lodges are located on the banks of the Luangwa on a magnificent meander in the river overlooking the National Park where leopards roam along the bank and can often be spotted from camp. 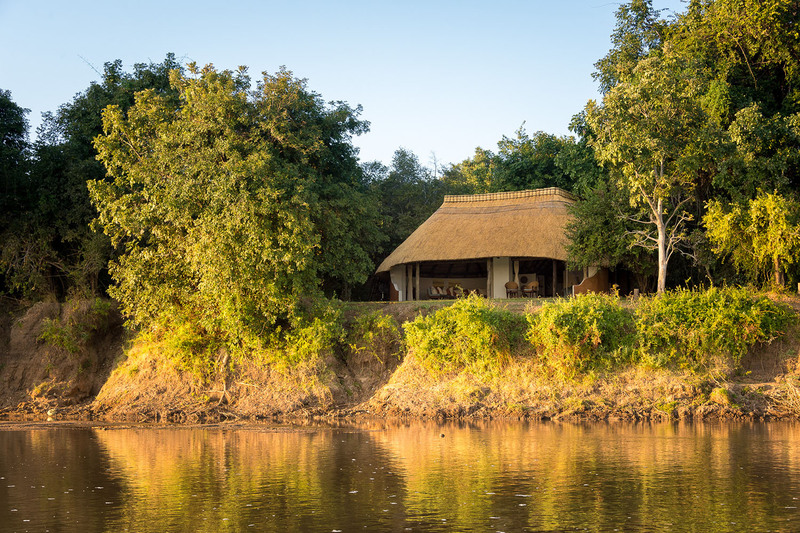 Situated on Robin Pope Safaris’ private land outside the park there is a private game viewing area behind camp as well as exclusive access into the park either by boat or across the pontoon. The area surrounding Nkwali is superb game viewing country, with a beautiful area of ebony woodland and open grasslands. Nkwali have put driving loops in this area and you often see as much behind camp as in the park – including leopard, lion and occasionally wild dog. 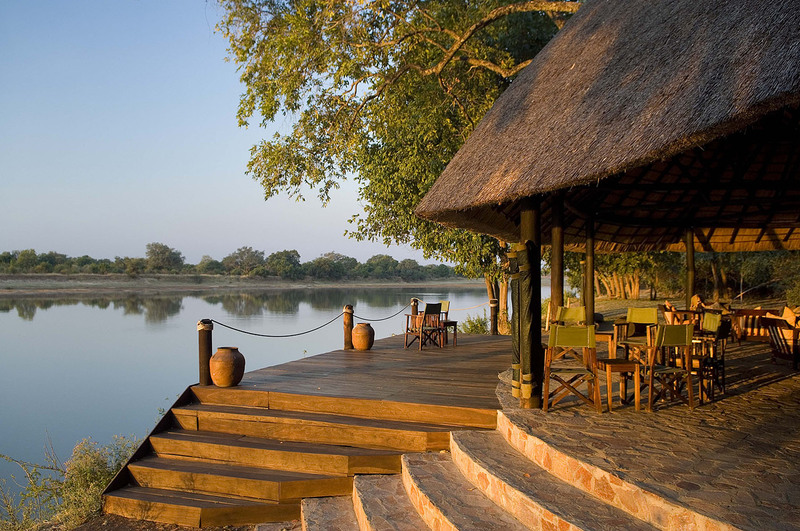 This area is particularly good for elephants and Thornicroft giraffe (an endemic species) Elephants also regularly cross the Luangwa, seen from the bar, or come to the waterhole near the thatched dining room. 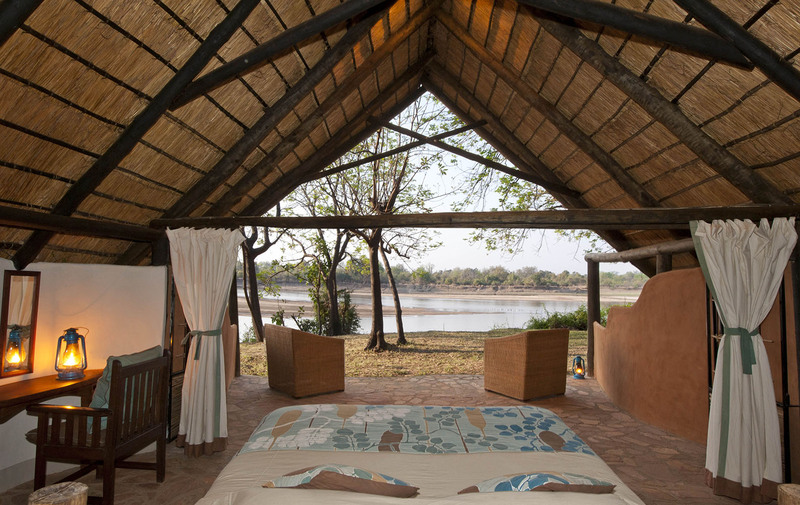 The Nkwali chalets are large, cool and spacious, with a great view of the river. 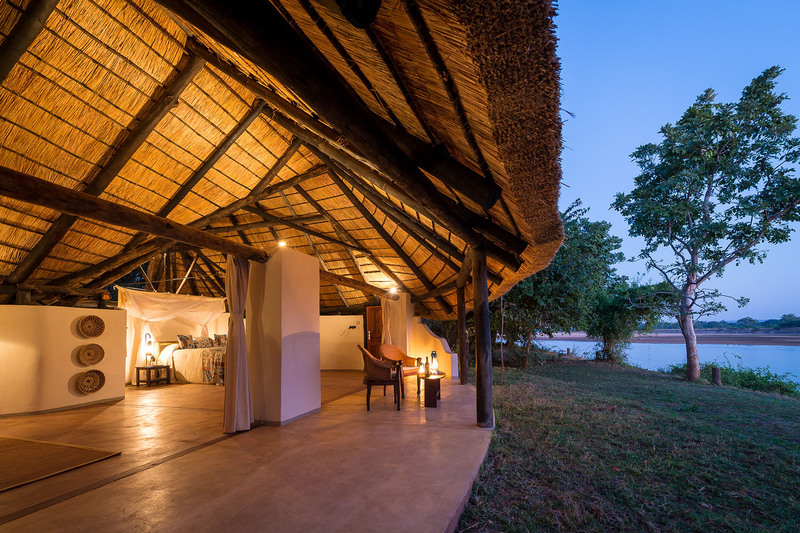 The six chalets with bamboo woven walls and thatch roofs offer a rustic luxury opening up to magnificent views of the river as well as open air en-suite bathrooms. The front of the room is open during the day and then closed by grill doors at night. 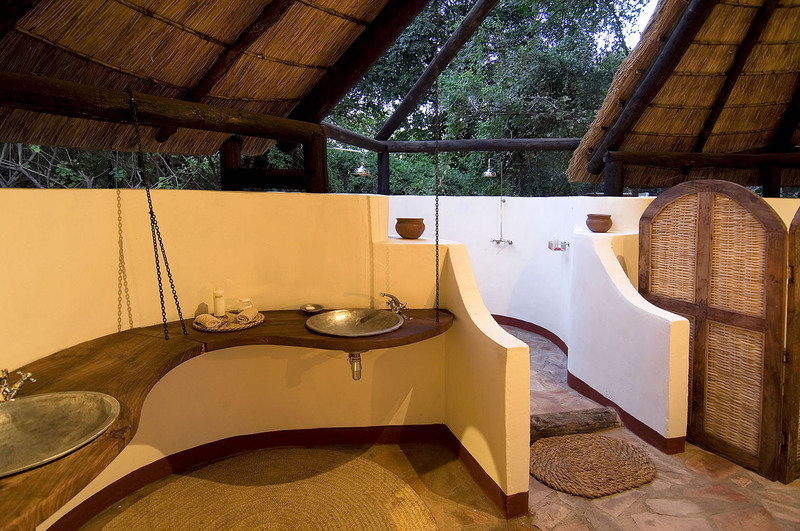 The ensuite bathroom has double sinks and showers, which are open to the skies during the dry season. 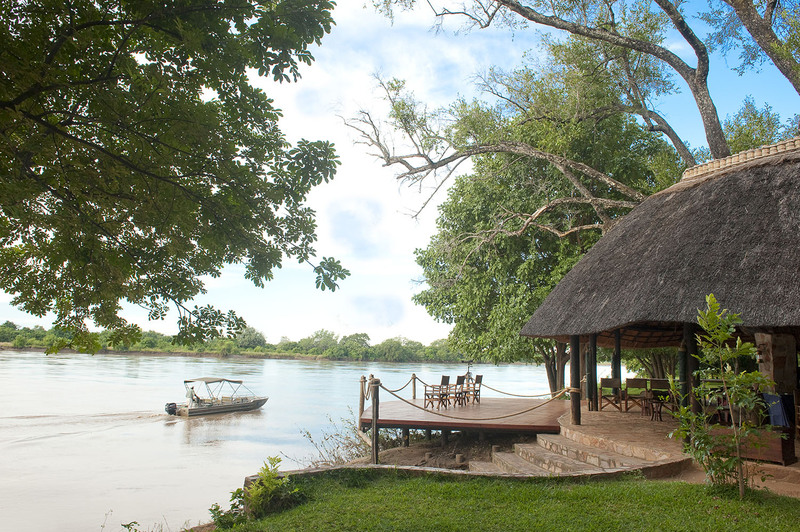 The bar area, right on the edge of the Luangwa banks, is built around a huge ebony tree with fantastic views of the river and across to the park.